On Saturday we shred dirt! Nigel and Aaron from NSDYNAMICS, one of our many great sponsors, had us out at the Illinbah track in the Gold Coast hinterland for a private ride day. Thanks Harvey, Gold Coast Mountain Bike Club president, for hooking it up! 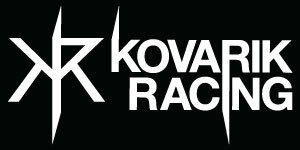 NSD support Chris and I through Kovarik Racing and they also have their own little team consisting of Ben Power, Matthew Dodd and Tracey Hannah. They are suspension tuning pros and help us keep our bikes feeling fresh throughout the season. We pretty much had the track to ourselves, pretty awesome. Hadn’t ridden DH in a while so it felt great to be back on the big rig and shredding, getting air and pinning it. We had a photographer/videographer along as well so there should be some cool shots and an edit to come soon. Other than that, we’ve been working, riding a little XC and starting back at the gym so keepin’ busy! our lifted truck back in action with fresh tread…ended up with some pretty serious cow poo roost all along the sides…ew. Nige and Aaron are NSDYNAMICS! ← Rider Development Program Launch!